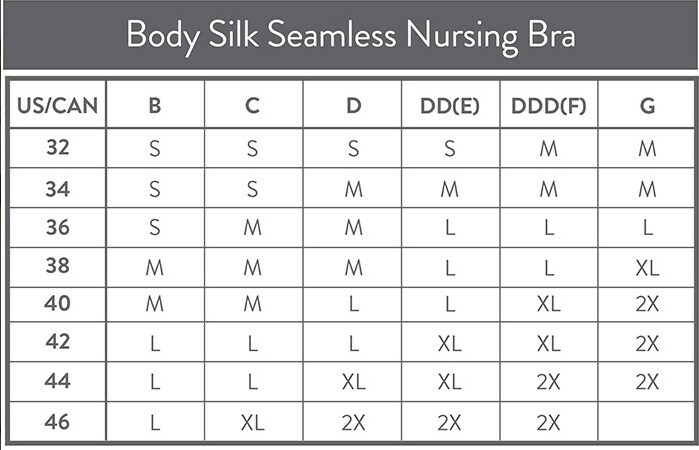 The Body Silk Seamless Nursing Bra was designed to offer comfort unlike any you've experienced from a bra before - nursing or not! This molded foam cup bra is seamless and gives a lovely shape with great support. And because the foam cups are removable, you have the option of a thicker cup lining when you need it. The easy-to-fit sizing system makes this bra ideal for any stage of pregnancy or nursing, as it will gently grow and contract to constantly support your changing shape. I have been nursing and wearing this bra for a month and I loved it so much I bought another one. It's very comfortable and easy to nurse in. Judy was very helpful!